Michael Caine as Kurt Steiner. Toward the end of World War II, Hitler commissions a "feasibility study" to determine the plausibility of kidnapping Winston Churchill. 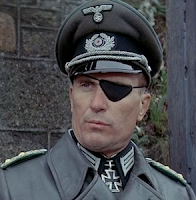 Initially, Colonel Max Radl (Robert Duvall) thinks the study is a waste of time. But as he gathers and analyzes intelligence data, Radl slowly realizes that an unlikely series of events has created an ideal opportunity. Churchill has scheduled a weekend retreat along a sparsely-populated English coastline--and an undercover Nazi agent already lives in a nearby village. Robert Duvall as Colonel Radl. Radl recruits heavily-decorated war hero Kurt Steiner (Michael Caine) and rascally IRA operative Liam Devlin (Donald Sutherland) to lead the mission. It begins smoothly with Devlin infiltrating the village as a new game warden and Steiner's men posing as Polish troops conducting maneuvers. However, the plan collapses when Devlin becomes attracted to a young woman (Jenny Agutter) and one of Steiner's men saves a child from a water mill. Based on Jack Higgins' best-selling novel, The Eagle Has Landed (1976) is one of several exceptional historical thrillers made in the 1970s and early 1980s. 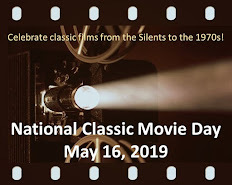 Others include Eye of the Needle (1981) and, my personal favorite, The Day of the Jackal (1973). It's interesting to note that Eagle shares something with each of those films: the rural coasting setting in Eye of the Needle (plus star Donald Sutherland) and the nifty trick of having the audience root for traditional bad guys (The Day of the Jackal). Yes, while the audience manipulation in The Eagle Has Landed is effective, it's not exactly subtle. 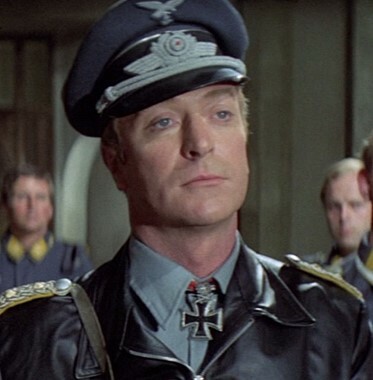 When we first meet Michael Caine's German officer, he disobeys orders to try to save a Jewish woman. Later, one of his men sacrifices his life for one of the village children. These aren't the ruthless Germans portrayed in hundreds of other war films. Likewise, Sutherland's British traitor is charming and acts downright chivalrous in regard to Agutter's smitten young woman. It's no wonder that we root for them right to the scene where Caine's character is pointing a gun at Churchill. While the three leads are in top form, the supporting cast almost steals the film. Donald Pleasence projects eerie calm as the cunning Himmler, while Jean Marsh is coldness personified as the undercover Nazi agent. It's fascinating to watch her face when she realizes her place in village society has come to mean something to her--and now she will lose it all. The only weak performance belongs to Larry Hagman, who overplays his role as a military paper pusher who's too eager for action. For the record, the events depicted in The Eagle Has Landed are fictional. The plot shares some elements with Graham Greene's story Went the Day Well?, which was filmed in 1942. Eagle author Jack Higgins wrote a sequel in 1991 called The Eagle Has Flown, which also features the character Liam Devlin. In fact, Devlin pops up in several novels by the prolific Higgins. I first saw The Eagle Has Landed when it was released in the late 1970s. Honestly, that may have been the last time I saw it until it recently popped up on Amazon Prime. 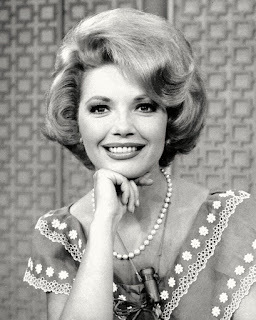 The decades have been kind to it; I found myself thoroughly engrossed during its two-hour running time. Speaking of which, there are at least two alternate versions, one running 135 minutes and the other 151 minutes. The Eagle Has Landed also marked the end of John Sturges' long career as a director. Sturges helmed 44 films, including action classics such as The Magnificent Seven (1960) and The Great Escape (1963). I have not seen this in years. The last time was on TV with my dad, who was a big fan of this film. Yeah. I gotta watch this soon. Thanks. Hey, why isn't there a pic of the lovely Jenny Agutter amidst all hose male mugs (handsome as they may be)? “Eagle” is quite interesting. It is a frightening premise set in a seemingly idyllic village, where not everyone or everything is what one thinks. Thanks for your excellent post, Rick! There are two alternate versions? Good to know. I've not seen this film, but a person really ought, considering the phrase "The Eagle has Landed" is so famous. I think a certain husband in my house would love it.